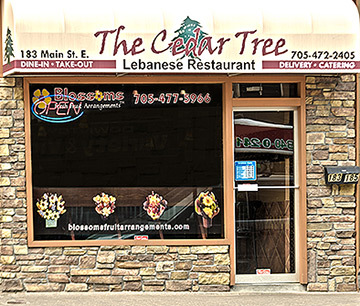 The Cedar Tree Lebanese Restaurant opened its doors in North Bay in September 2009. It was always Roger and Yasmin’s dream to open a traditional Lebanese restaurant serving authentic Lebanese food using recipes passed down from Rogers family. North Bay presented the perfect opportunity to bring this type of cuisine to its residents.